After the events of SECOND COMING, the X-Men's world has changed. Don't miss the stunning emergence of a new generation of heroes as the Hope and the X-Men race to find the latest of the new mutant activations! 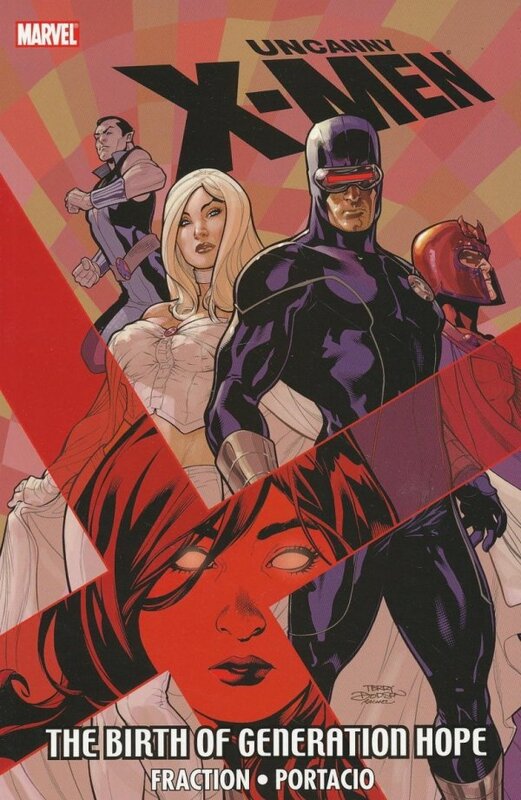 Plus: Kitty Pryde and Emma Frost's first encounter since Kitty took her trip in a bullet, and things come to a head between Emma and her prisoner Sebastian Shaw! 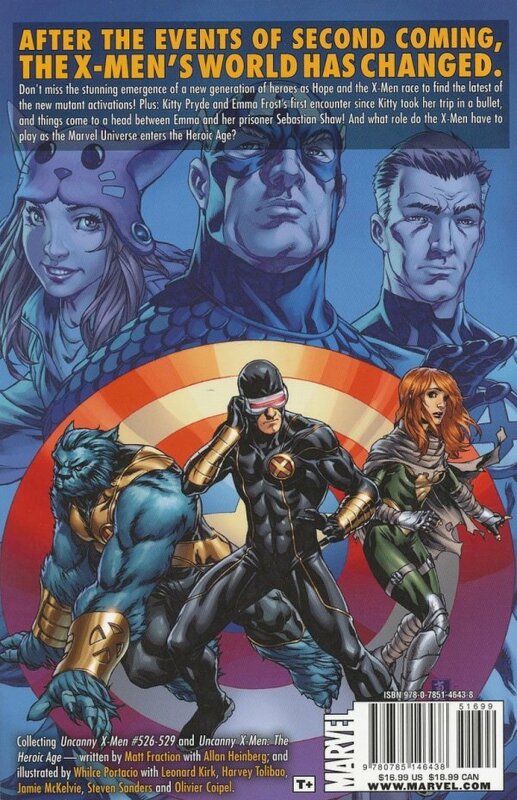 And what role do the X-Men have to play as the Marvel Universe enters the Heroic Age? Collecting UNCANNY X-MEN #526-529 and UNCANNY X-MEN: THE HEROIC AGE.